PoPville » Legit or Counterfeit No Parking Sign? Legit or Counterfeit No Parking Sign? 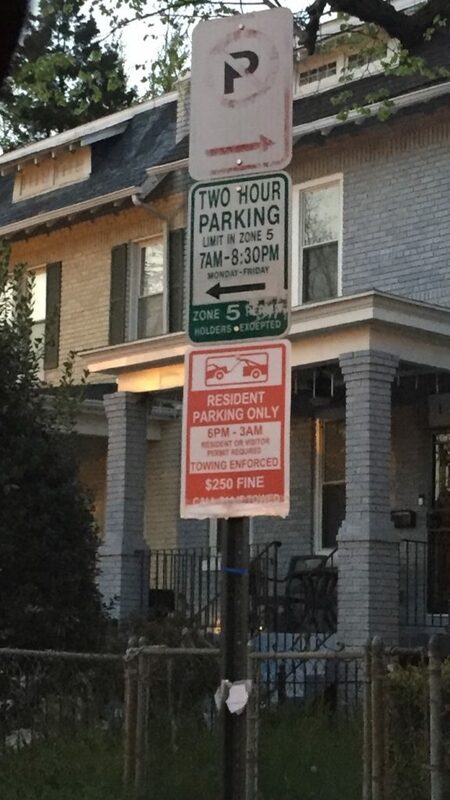 I recently noticed new signs up on the north side of the 1400 block of Morse St. NE that say “Resident Parking Only – 6PM to 3AM – Resident or Visitor Permit Required” threatening a tow and $250 fine.